We kick off the day with the Junior Men and Women double sculls. At 9:10 am, it is time for the heats of the Men’s pair. Yesterday, the composite crew of Mercantile RC and Melbourne UBC with Dunkley-Smith/Booth won by over 4 seconds over the Dutch U23 pair. However, today they will also have to face the Dutch World Cup pair of Bo Wullings and Dirk Uittenbogaard. 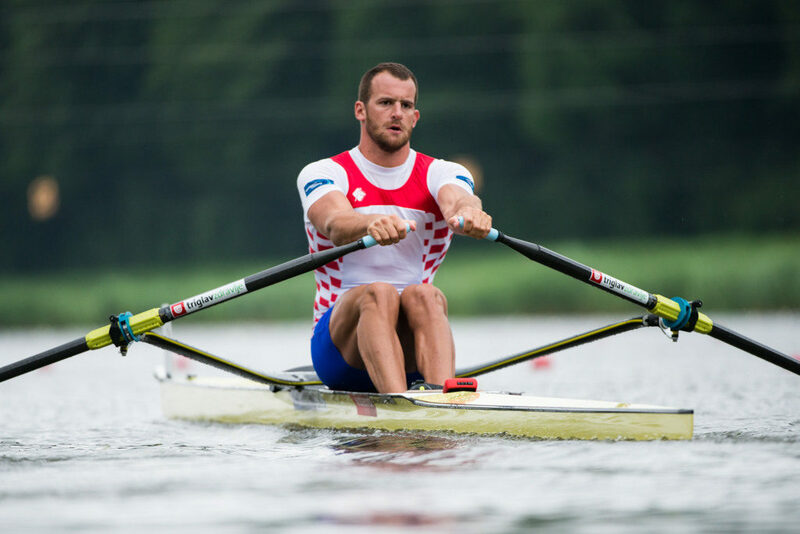 Following the Men’s pair will be the heats of the Men’s double sculls. British Olympians Graeme Thomas and Angus Groome won yesterday with a dominant performance, and they will be looking to repeat that feat. At 9:35 am, it’s time for the Lightweight Women’s single sculls to line up on a fast Bosbaan course. It was a Danish 1-2 yesterday, with Iben Østergaard from KC Bagsværd taking the famous KHB medal. Dutch international Amber van Zomeren from Willlem III will race today, and potentially try to spoil another Danish party. The Lightweight Men’s single heats will start from 9:50 am. There are significantly more entries for today, leaving lots of question marks as to who will be the favourite. One thing is for sure: yesterday’s winner Luke Epain from CA Nantes will have to prove himself once again. Next up is the spectacle of eight’s racing. Starting with the Women’s eight at 10:30 am. In contrast to yesterday, there are two eights from the Dutch National Team, both a mix of experienced Olympians and strong U23 athletes. Also watch out for a strong Silvia crew, a project set up by Dutch double Olympic Champion Nico Rienks, aimed at sending a crew to the Tokyo 2020 Olympics. The heats for the Men’s eight start from 10:40 am, with in heat one the Dutch National Junior eight, and the Dutch U23 eight, who are reigning U23 World Champions. In heat two Australian school Champions Scotch College and the club eight of Proteus-Eretes will fight it out for the last qualifying spot, as the pace of the ‘Holland Acht’ and UC Berkeley will likely be too hot. From 11:06 am, it is time to get to this morning’s most important part: the semi-finals. As mentioned, there are no second chances today and athletes will have to go all the way to secure a spot in the grand final this afternoon. The Junior Men kick off, followed by the two semi-finals of the Ladies’ Trophy. In semi-final 1 Inge Janssen, Karolien Florijn, and American Mary Jones are the favourites. In the second semi-final, Emma Twigg will likely be the first to reach the finish line, but the fight for the other 2 qualifying spots are far from decided. In the Holland Beker, the first semi-final’s line-up could be a final by itself: there is no clear favourite as Sverri Nielsen, Stephan Krueger, Jon Stimpson, Agustin Diaz, Karl Schulze and Hans Gruhne race for only three spots in the final. Be sure to arrive on time, or watch our livestream (starting from 11 am), because this is a race you do not want to miss. And while you are watching, the second semi-final is potentially just as exciting: we will see a duel between Ondřej Synek and Damir Martin, and the surprise of yesterday: heat winner Steven Hiestand from Flamengo CR. It’s going to be a day filled with top rowing!